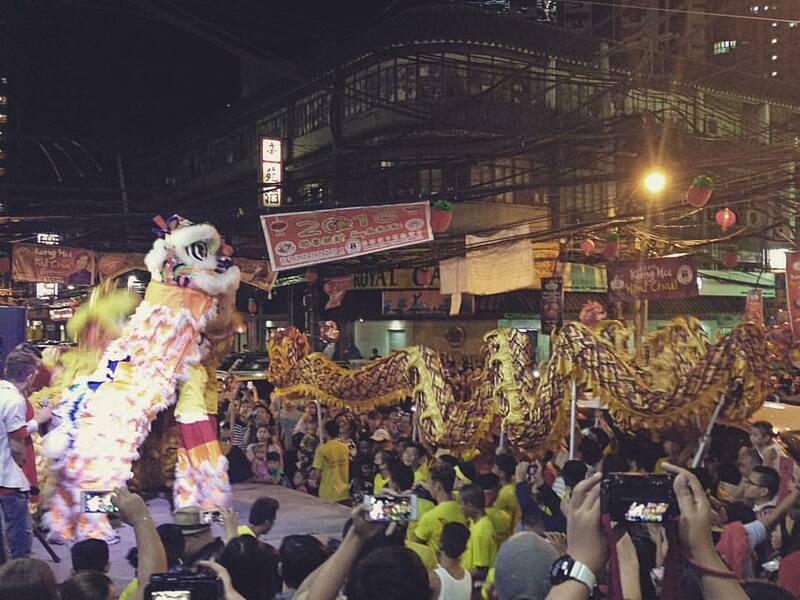 If you think Ongpin is only worth visiting during the Chinese New Year celebrations then you are missing a lot. This place is considered the oldest Chinatown in the world and the perfect venue to experience the richness of Chinese culture blended with the Pinoy way of life. The best way to discover this colorful place is by walking through its narrow streets and complex alleys. You may find the tastiest fried siopao or authentic Chinese dumplings in one of Ongpin's hidden restaurants. Brace yourself. It may take you a whole afternoon or even a day to explore the busy streets of Ongpin. You may feel tired because of non-stop walking (and eating!) so it's best to stay in a hotel to recharge and relax. Stay in your luckiest room! Don't be surprised when the receptionist asks your birthdate besides your hotel accommodation preferences. Following the advice of the hotel's resident Feng Shui expert, the receptionist will assign a lucky room based on the numbers of your birthdate! It's nice to know that you'll be staying in a place full of good vibes and positive energy, right? Neat white walls and crystal clear corridors radiate good vibes! 2. 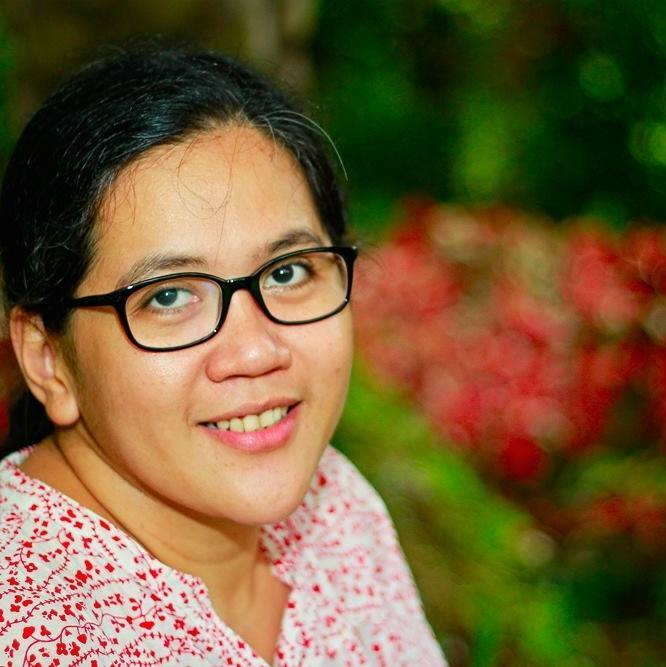 Suwerte na, mura pa! 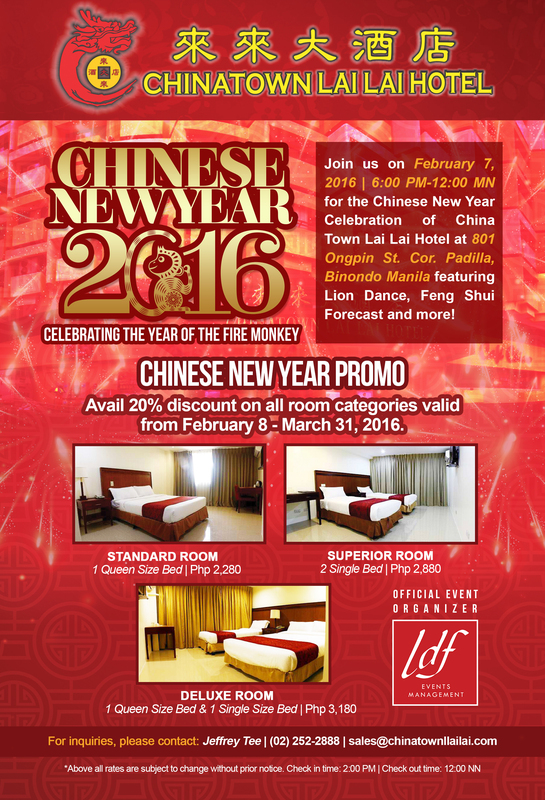 Avail of Chinatown Lai Lai Hotel's promo now and spend an overnight stay in one of their standard rooms for just P2,280 (VAT inclusive with complimentary breakfast)! This is perfect for couples who want to celebrate this Valentine's day with a day tour in Ongpin capped with a romantic hotel overnight stay. 3. Savor, Sing-along and Spa. 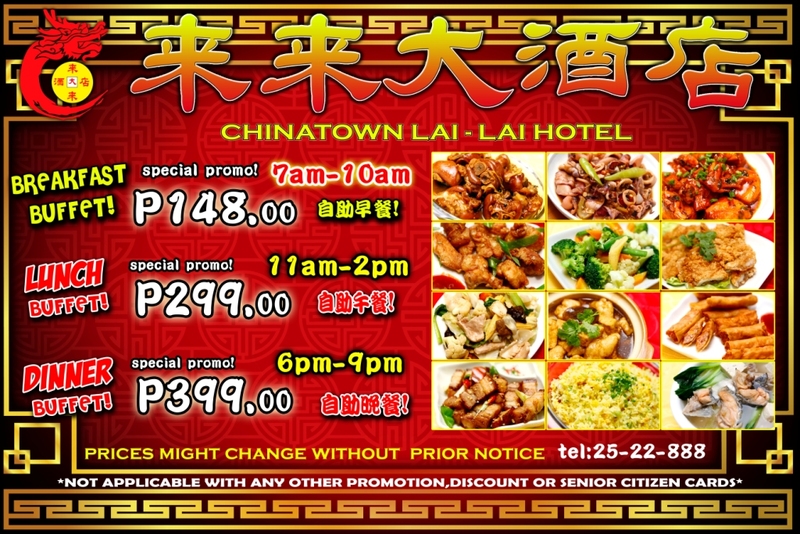 Forget the usual breakfast meals in your favorite fast food and try Chinatown Lai Lai Hotel's buffet for only P148.00. If you're craving for authentic and delicious Chinese food, try their specialties which include : sweet and sour pork, Hong Kong style chicken, seafood pancit canton, squid salt and pepper and fish fillet tofu (my favorite!). If you want to unwind before heading to dreamland, sing your heart out in one of the hotel's KTV rooms. 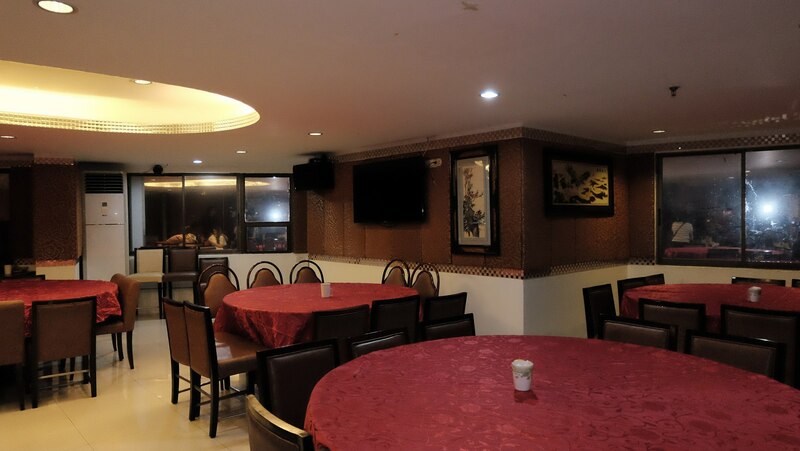 Enjoy the newly installed karaoke sound systems in the five (5) KTV rooms which can accommodate 10-30 persons. Spa and massage to ensure a relaxing sleep. The hotel also offers aromatherapy massage (combination of Swedish-Shiatsu massage) to guests who want to relax, de-stress and recharge. 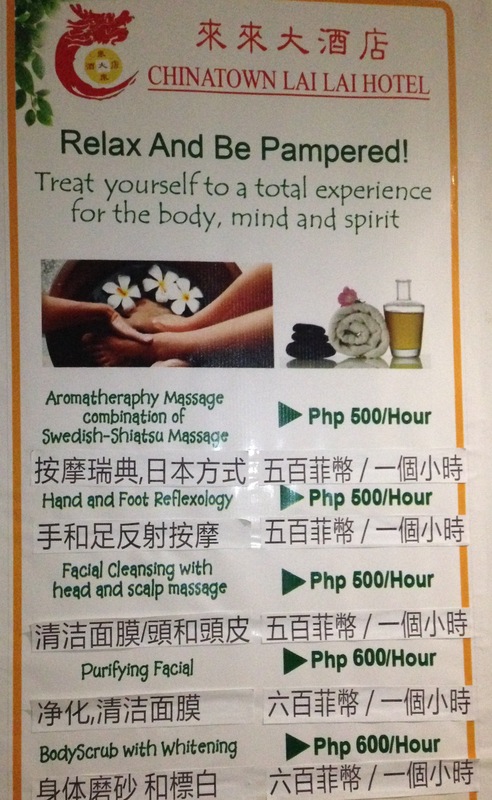 Check out the other services and corresponding rates as shown in the photo below. Lastly, if the Hotdog song "Manila" ( Hinahanap-hanap kita Manila! ) speaks volume to you and you want to feel the unique Manila vibe, then an Ongpin tour and an overnight stay in Chinatown Lai Lai Hotel should be included in your itinerary. 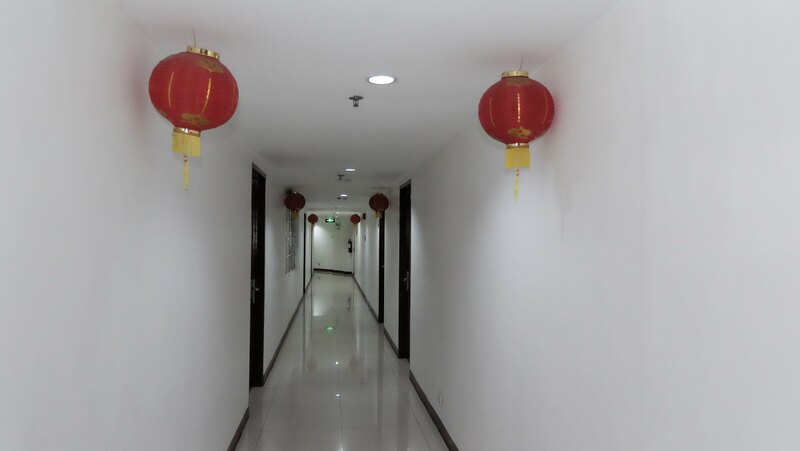 For hotel room inquiries and reservations, please visit http://www.chinatownlailai.com/ or call (+632) 252-2888 and look for Jeffrey Tee or Apple Castro. What a nice way of celebrating Chinese New Year. I'm sure your family had a lot of fun. Omigosh gusto ko to. I have never explored Ongpin, but I've always wanted to. If we staycation there then I can explore to my heart's content! Hehe! Thanks for the idea! True. Perfect after a whole day of Divi shopping or Ongpin food tripping! Thanks for dropping by. Kaloka ang mga dragons! Nagkalat sila sa daan! Thanks for dropping by! You will love Ongpin, Patty. One of my favorite places. Hindi ka mauubusan ng tutuklasin. Thanks for dropping by. Hi! 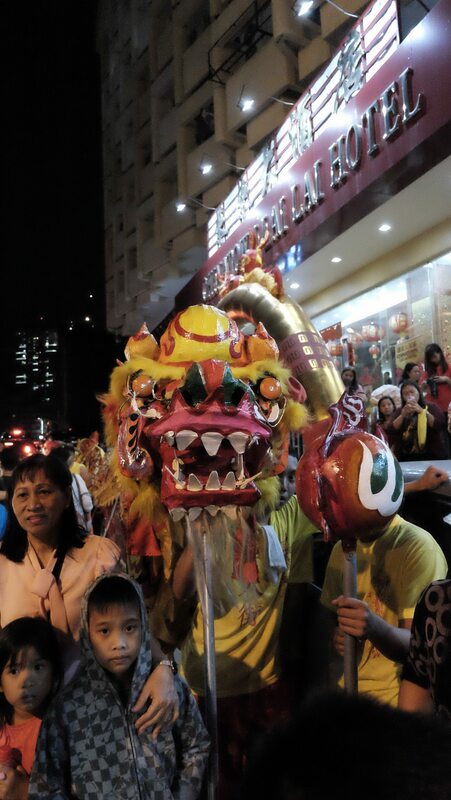 Explore Manila Chinatown anytime and I'm sure you'll enjoy the experience. Lalo na ang Chinese food! I agree that the best way to explore busy streets is by walking, so you don't missed out anything! And the rates are super affordable ha! I might consider this for our staycation. Thanks for sharing! Wow their buffet rates are cheap! The buffet rates are cheap, but the rooms are steep for 2,280 (even if it came with breakfast) for a standard plain room. But seems like you had a great time! It's nice to read someone who blogged about Ongpin - I've never been there! I didn't know Ongpin was the oldest Chinatown in the world! What better way to learn about foreign culture than immerse in it? This is a brilliant idea.. I mean checking in a hotel in binondo particularly ongpin area.. Spending a day there is bitin sa totoo lang.. I'd definitely go for this with my family para masuyod ko talaga ang kasuluksulukan fir all the nice finds. I was supposed to attend the Chinese New Year at Lai Lai Hotel too. Had to miss it though because I was on bed rest. Hope I'll get to check it out someday. Hi Janice! Kumusta na? Oo nga, sayang we didn't get to chat in this event. Di bale, marami pang next time. See you soon. Take care.